AKUA Mind and Body is a Southern California based fully-accredited and licensed addiction and mental health treatment facility that offers evidenced based Westernized addiction medicine combined with holistic Eastern traditions for a broad spectrum integrative treatment approach. AKUA offers individualized treatment for adult men and women who have been diagnosed with a substance abuse disorder and/or a mental health disorder. Most clients present to treatment with more than one type of disorder, a condition known as co-occurring disorder, formerly labeled as dual diagnosis. An alcohol condition coupled with underlying depression is an example of a co-occurring disorder and both disorders must be treated simultaneously in order for the individual to fully heal, as one disorder will often feed off of another disorder. AKUA employs a multidisciplinary treatment team that includes admission intake counselors, therapists, dietitians and addiction medicine physicians who work together to provide an integrative approach to treatment for both substance abuse and mental illness. Trauma informed therapy, EMDR therapy, yoga therapy, meditation, family therapy, group therapy, dietary and nutrition counseling, and individual therapy which incorporates cognitive behavioral and dialectal behavioral therapies are all part of the integrate treatment approach for both substance abuse and mental health at AKUA Mind and Body. AKUA Mind and Body offers multiple levels of care ranging from substance abuse detoxification, residential treatment and partial hospitalization to intensive outpatient treatment. Treatment for substance abuse usually begins with detoxification, which can be 24 hours to 6 days on average depending on the substance of abuse. The goal of detoxification is to rid the body of the abused substance so the withdrawal process can be treated successfully. Opioids, benzodiazepines and alcohol are known to have severe withdrawal side effects and therefore medications are given to relieve any unwanted side effects and prevent any further harm. Once the acute withdrawal stage is over, the acute drug treatment will begin. The highest level of care offered at AKUA Mind and Body and requires 24-hour care for individuals who are in need of substance abuse and/or mental health treatment. Those clients who receive residential treatment typically struggle with cravings and unhealthy thought and should be monitored around the clock to prevent relapse. Most clients who enter residential rehab cannot go more than a couple days without using alcohol or drugs. Considered a mid-level of care offered at AKUA Mind and Body since it does not require 24-hour monitoring but instead is an intensive program requiring four to six hours of therapy per day for four to five days per week. Unlike residential treatment, clients in partial hospitalization have shown enough improvement that they are strong enough to leave treatment at night and return to the comfort of their beds. All clients with a substance abuse addiction have successfully completed a detoxification program and many, but not all, have completed a residential treatment program for their substance abuse addiction, mental health disorder or for their co-occurring disorder. Considered a lower level of care that is perfect for clients who have successfully completed detox and residential treatment or partial hospitalization treatment and are in the early stages of their recovery. It is ideal for clients who are returning to work, school or other responsibilities on a part-time basis and who reside locally in a stable environment such as a sober living, or at home with supportive loved ones. Intensive outpatient treatment requires individuals to obtain at least nine hours of group and/or individual therapy per week which is divided up into three-hour sessions three to five evenings a week. 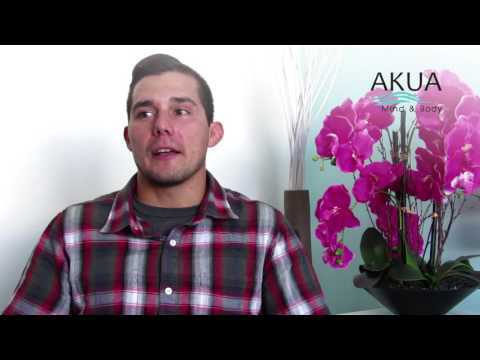 The treatment specialists at AKUA believe in treating the individual as a whole rather than treating the diagnosis as each individual requires a different treatment approach, and a unique treatment timeline requiring a collaborative effort from every member of the treatment team. Whether you are a 26-year-old female who is struggling with body dissatisfaction fueled by depression which has developed into a cocaine addiction or you are a 45-year-old male who works in corporate America, with a loving family but drinks excessively to cope with your anxiety; AKUA Mind and Body believes in tailoring their treatment program in order to fit your needs so you can live a healthy and fulfilling life without using negative coping skills or addictive substances as a way to erase your underlying disorder. You’ll be connected with one of our friendly Admissions Counselors who will verify your insurance, completely free of cost! We ensure that your start to the road to recovery is hassle free. Simply start the process by calling or chatting with one of our Admissions Counselors, and we’ll take care of the rest. We are conscious about privacy and would never share confidential information with anyone else unless we have your consent.